The "player primer" for the "Into the Wintery Gale" series which I authored has now been released by AAW Games, and is available for free download! "Shieldmaidens, völva, raiders, and wardens of the land: the Vikmordere are the fantastical interpretation of a cultural hybrid between Norse Vikings and various indigenous peoples. 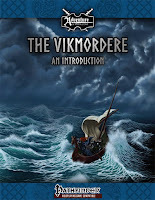 The Vikmordere are a fantastical blend of ancient cultures in the setting of Aventyr. 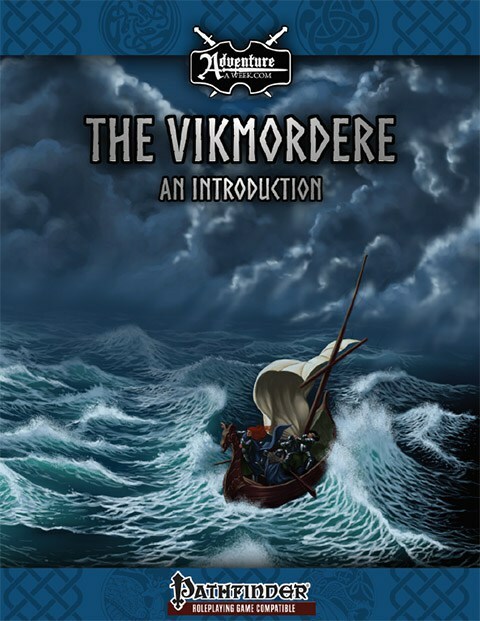 The Player Primer introduces new players to the culture and geography of the Vikmordere." This book is available for Free PDF download via: Adventureaweek.com, DriveThruRPG, RPGNow, and Paizo.